And now are ten. 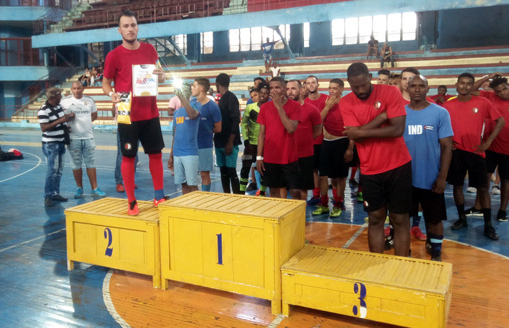 The most successful club in Cuban futsal hits again: La Habana are once again national champions after overcoming worth rivals Ciego de Avila in yesterday final played in the "usual" capital city venue Kid Chocolate (4-6). This means the 10th title for La Habana, real giant of Cuba. Cuban Liga Nacional de Futsal 2018: all info here! Through one own goal, doubles by Lázaro Calderón and Roger Moratón and a seal by Jorge Yasser Pérez the club coached by Fidel Hernández had no major troubles in defeating Ciego De Avila, completing an almost perfect series in the whole league (just one defeat vs 4th ranked Pinar del Río in the preliminary stage, group A), deserving to be again crowned as Cuban futsal champions few weeks after conquering also another important local tournament like the Copa Gelabert actually is. In the bronze medal final another club from the capital city like Industriales managed just in the extra time to overcome Pinar del Río (4-1). 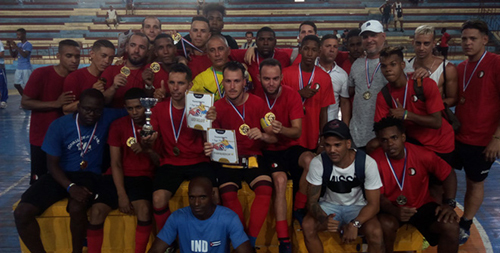 Dayan Cotila (Industriales) was awarded as best young player of the league, while La Habana keeper Brennet Suárez emerged as best goalkeeper of the tournament. Spotlights on more La Habana players: Jorge Yasser Pérez ended the challenge as top scorer, while the Most Valuable Player prize went to team captain Roger Moratón. Last but not least Fidel Hernández was named as best national coach.